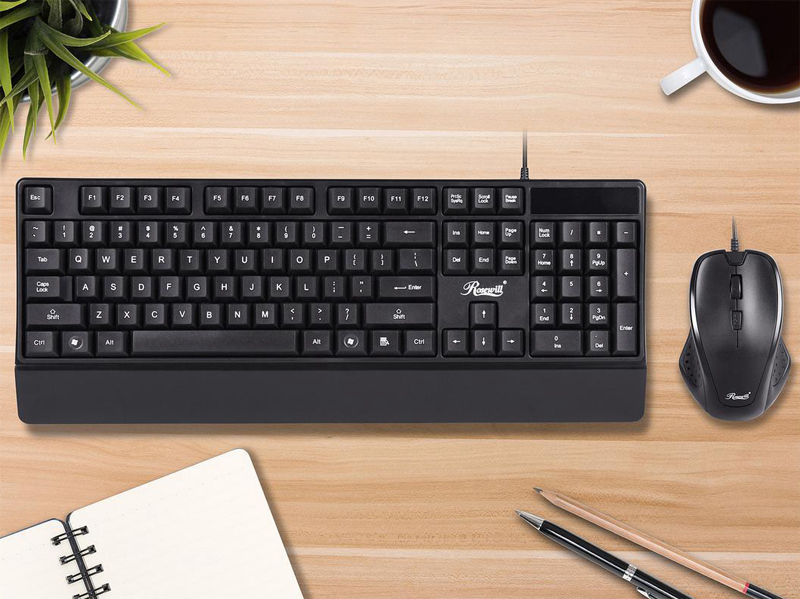 The Rosewill RKM-600 keyboard & mouse kit is a great choice for home/office use and gaming. The keyboard features slim bezel on the left, top and right sides, and comes equipped with a wrist support for less fatigue during long-haul typing. The 104 full-size keys with standard layout mean no learning curve and you can get into full productivity out of the box. The durable keys ensure long-lasting, trouble-free performance in frequent, heavy-duty use. With 2000DPI sensor, the ambidextrous mouse delivers fast and accurate tracking. A DPI button right below the scroll wheel allows you to switch between DPI settings on the fly. The ergonomic shape fits perfectly in your hand, and the finger grooves on the left and right sides give you enhanced comfort and control.